A trial run conducted this summer shows ice-classed cargo ships will be able to reach the Citronen mine “relative ease” during the six-month sailing window. With the exception of its location, the Citronen mine, according to its owners, will be a “largely conventional” zinc and lead mine. Its location, however, happens to be at 83 degrees North, on the northern coast of Greenland, in all likelihood making it the northernmost mine in the world. Because of its location, Ironbark, which, in 2016, was granted a 30-year permit to operate on the site, will have just six weeks each year to ship out the estimated 300,000 tonnes of ore.
After repeatedly documenting the site’s mineral deposits, Ironbark and its partner, China Nonferrous Mining Corporation, now have proof that plans to transport processed ore are feasible, after the Nunavik, a Canadian ice-breaking bulk carrier, completed a voyage to the mouth of Citronen Fjord, where the mine would be located, on August 30. The Nunavik reached Citronen Fjord after sailing up Greenland’s eastern coast on a route similar to one ships serving the mine will sail, encountering a mix of thin ice and open water on its northward journey that it navigated with “relative ease”, according Jonathan Downes, Ironbark’s general manager. It was the first time a large commercial vessel has reached extreme northeastern Greenland. And although the Nunavik did not sail to the actual location where Ironbark hopes to establish the mine, the fjord, according to a company report, was ice-free. That, according to Downes, underscored that it was feasible to reach the mine easily during late summer. Varying annual ice conditions will prevent Ironbark from establishing a sailing route until the start of the sailing season, and will require that adjustments be made for each trip, but previous Ironbark studies of ice on the eastern coast of Greenland, suggest the conditions experienced this summer are not out of the ordinary. Ironbark hopes to begin construction of the mine in 2019. 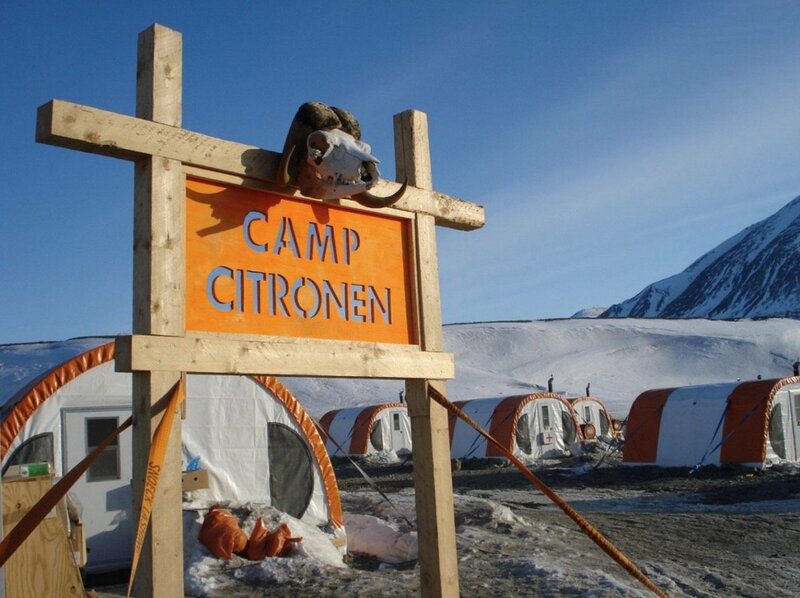 Operations could begin as early as 2020 if zinc prices remain at their current levels, according to Greenlandic mining officials. Should it begin production, the processed ore would be transported aboard two ice-classed bulk carriers, one with a higher class than the Nunavik, one with the same, sailing in convoy to Norway for further processing. The five-day journey could be reduced, however, if the ships transfer their cargo to standard bulk carriers in ice-free waters. The decision to use bulk carriers, rather than ice-breaking tugs pulling barges will mean that fewer trips will be required.